Should You Use Financial Calculators on Your Website? At one point in time, embedding financial calculators into your financial planning website was state-of-the-art and all the rage. With this technology, prospects could receive financial estimates, predictions, and even advice before they reached out to you for financial services. It sounds pretty good on paper – you can exhibit your expertise and build trust with prospects that will soon be clients, right? Your intentions are good to consider adding some financial calculators to your website during the design process. However, unless you have a very specific financial calculator for a very specific audience and very specific reason, calculators are completely useless. Website manufacturers used to sell these as “cool” add-ons that were supposed to enhance your business. Advisors typically bought in, but they’ve added absolutely no value. That is, no added value for your client or you. If you don’t believe me, check your Google Analytics. What we’re trying to say is, get rid of them. Really, no one uses them. They may be marketed as an add-on, but they can cost just as much as your entire website does. Think about the arm and leg you are paying for these calculators. You look at ROI for your clients daily, but are you doing the same for your marketing initiatives? Most likely, these calculators are NOT increasing your website traffic or your conversion rate. If anything, they may be hurting your business! Instead of housing financial calculators, Twenty Over Ten client, WealthKeel provides value to prospects and clients through information and education. 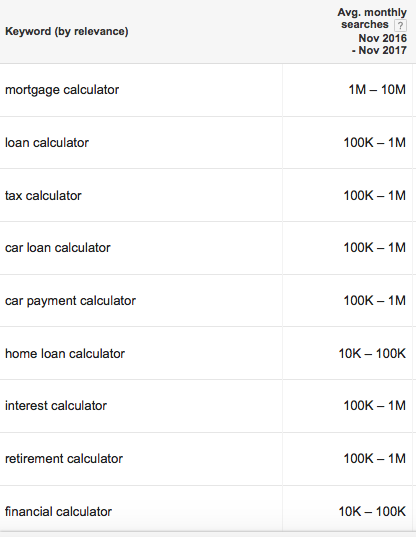 We took at look at Google Keyword Planner and found monthly searches for a few financial calculators. Some of those numbers were very promising! However, if you head over to the search box and type in “mortgage calculator” you won’t be happy with the results. You would have to click through pages upon pages of results before you found your own website. The chances of you out ranking huge national companies like Bank of America and CNN Money are slim and likely impossible. There are many SEO factors that are much more powerful (and less expensive) than financial calculators. We don’t want to tell you how to do your job, but shouldn’t you be the client’s financial calculator? We’ve learned time and time again that it’s already hard enough for prospects to put their entire wealth, and their entire life, in your hands. A calculator just doesn’t cut it. You may just think its a handy tool to have for prospects and visitors, but it only gets in the way. Financial calculators create a sense of responsibility for clients, as if it is their job to find the numbers and results. They seem harmless and easy to use as an advisor, but your average prospective client doesn’t have the knowledge to understand what they are calculating. Put yourself in their shoes – these calculators can be intimidating. They are uneducated about their finances (which is why they seek you out in the first place) and this can make talking to you intimidating too! In the end, prospects can defer them from contacting you and may even search for a more approachable firm. Twenty Over Ten Client, Financial Planning Done Right provides an abundance of resources, but still provides a welcoming space for prospects. When someone looks for a financial calculator, they are usually uneducated about finance. They find consumer grade technology they can use to get a basic understanding of their finances, but nothing more. When they see that same technology on your website, you have a problem. If this advisor is using this calculator to plan my wealth, do they really have enough knowledge and experience for me to put my life in their hands? Prospective clients desire advice from advisors for professional, comprehensive financial plans. 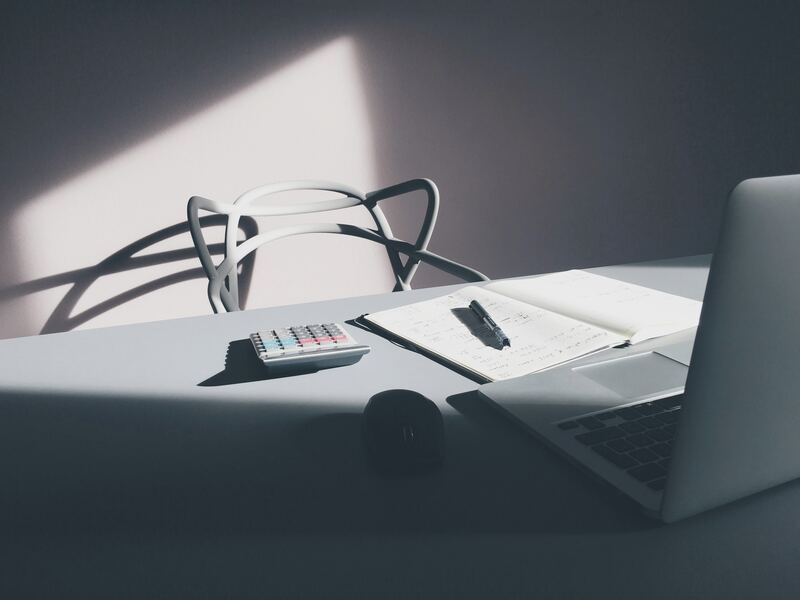 By implementing a financial calculator on your website, visitors think that you’re relying on it to plan their future and your work will be nothing more than their own personal calculations. You have to leave the low-end resources to reflect your high-end advice. By ridding your site of financial calculators, it will be much easier to exhibit your expertise and experience. 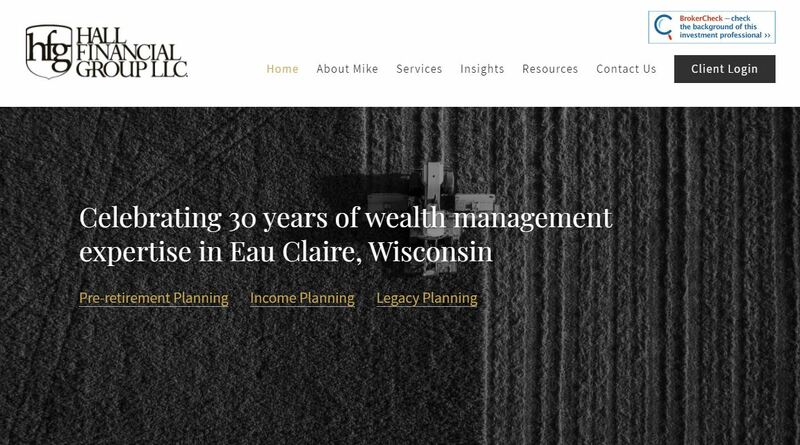 Twenty Over Ten client, Hall Financial Group, easily portrays their expertise in wealth management throughout their clean and attractive website. There is a demand for custom financial plans from advisors. People want an advisor to analyze all the puzzle pieces of their life for holistic advice. They expect a personal experience and personal feedback. If prospects connect the financial calculator on your website with the work you do, you will lose business. If they believe you can provide nothing more than the advice from a basic formula, they will drop you. Your website reflects who you are, what your firm stands for, and what your work is like. Don’t let a financial calculator represent you incorrectly! I’m looking for an advisor and custom financial plan, not a basic algorithm. This isn’t something to take lightly, because if they don’t think your financial plan is custom, they’ll find one that is with one of your competitors. What is your reason for keeping a financial calculator on your website? Is it a supplement to the work you do? Or an alternative altogether? We know that’s not the case, but do your site visitors know that? If financial planning is as simple as using this calculator, why do I even need an advisor? Financial calculators act as gatekeepers you don’t want. Prospects may cross themselves out as a suitable client, feeling that they no longer need your help now that they have the alternative route you’ve given them. Financial calculators can also give the impression that your actual advisor work is just a back up. Unintentionally, you’re ruling out a number of your prospects. Don’t let your financial calculators be a substitute for your life’s work. We have obviously taken a stance, but we can’t ignore that “44 percent of U.S. internet users – roughly 75 million people – depend on the web as a source for financial information.” If you are looking to turn those that depend on the internet into clients or you have a truly beneficial reason for using a calculator, we have a few tips. We like to tell clients “less is more” when it comes to including financial calculators on your website. Overcrowding your webpage with unattractive financial calculators isn’t great for your brand. It may look unprofessional and out of date, which reflects on your business as a whole. It can also confuse prospects, especially if they have never used financial calculators before. To combat these issues, stick to the most important and useful calculators you think your site visitors would need. Make it easy for both your site visitors and yourself. If you’re going to use financial calculators on your website, find products that are compact and user friendly. We refer advisors to Calc XML most frequently. 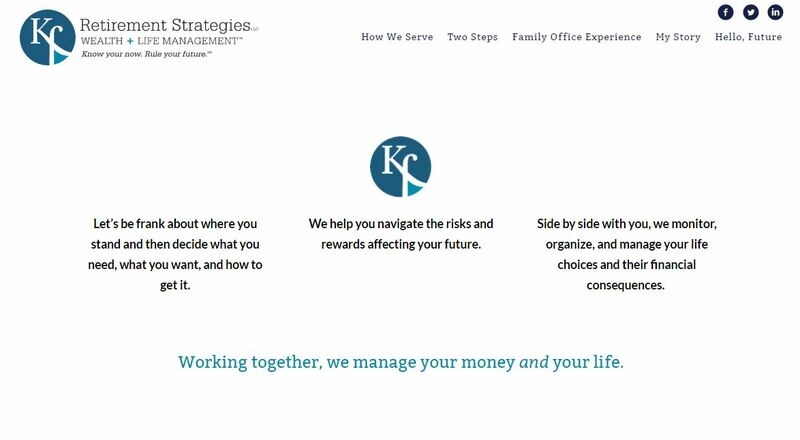 Twenty Over Ten client, Fialkow Financial Planning, utilizes Calc XML’s free financial calculators on their website with a clean design. Know your reason for offering calculators. Don’t expect it to increase your search traffic. Don’t expect average visitors to use it. Have a reason and make sure it’s a good one that proves to be beneficial to your financial planning business. Few visitors use financial calculators but this doesn’t have to be the case. Check in on your Google Analytics frequently and current market trends to follow along and stay updated. You may also like: 4 Reasons Why a Brochure Website Doesn’t Work Anymore and Twenty Over Ten vs WordPress – Which One Is Better?